Have you ever seen the promotional helium-filled balloons that keep hanging across the sky? If yes, you might have enjoyed that event watching colorful helium-balloon up in the sky. Undoubtedly yes. There is something magical about the balloons that look equally appealing to the people of all ages. 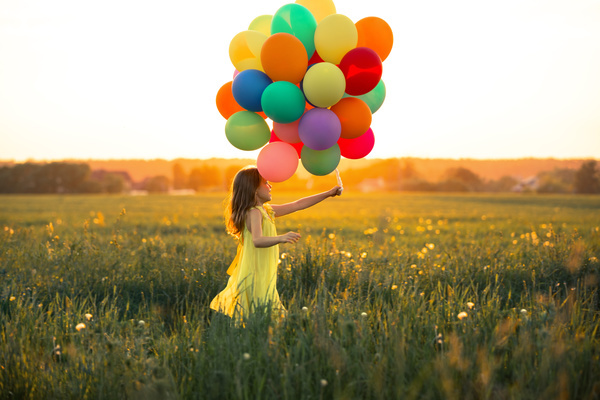 For years, it is being observed that helium-filled balloons that soar up in the sky attract more attention from the customers who pass by the road where the balloon is beautifying the sky. These kinds of the balloon are mostly used by the retailers to grab the market attention from a distance. Reusable balloons look trendy and it is the one of an amazing idea to add more spice up in the event. Balloons are one of the cost-effective ways of promoting any business. Most of the successful entrepreneurs spend a huge sum of money on advertising via newspaper, poster, email marketing, and many other ways. Balloon advertisement invites customers directly to the doorstep of the retailers. Such promotional balloons are reusable and can be customized according to the needs and expectations of the retailers as well as the customers. Unlike other marketing strategies, reusable balloons for promotion gain attention at a faster rate. A single balloon can promote your business in your local area. It is the cost-effective and time-saving way of promoting any business. Customized and printed balloon are reusable and can be used to promote your business in some other locality. Customized balloons can be used for your events as well. You may prefer lighted balloons for some specific events. This can be done by inserting a glowing stick inside the balloon before it is inflated according to its capacity. If you are living in some metro city, then you may go for the larger balloons to cover the larger areas. If you are investing in customized large-size balloons, then it is advised to go for balloons that are illuminated and good enough to cover the larger section of your customers’ range. Reusable balloons are quite inexpensive and the best way to promote your business to the targeted audiences. Not only, you can use reusable balloons for wedding, anniversary, product or service promotion but also for any event promotion that need larger audiences. •	If you are using Helium gas to inflate your balloon, then make sure it is filled to its optimum capacity. •	In the cold season, the helium-filled balloon may shrink. In the summer season, the balloon may burst due to high-temperature so it is advised to fill some inert gas so that it can maintain its shape. Keeping things that we just discussed above in mind, you can get manage to throw a grand event and save your wallet from overspending.